Four Seasons Wall, search for your new home today in this adult community. Four Seasons Wall is an Active Adult, Over 55 community. 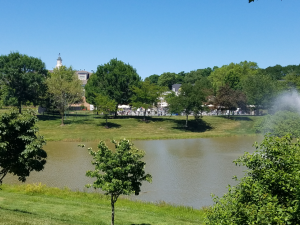 In fact, this active adult community boasts the privacy and security of a gated entry. Due to it’s location near the Jersey Shore, shopping is near on Routes 34, 35 or 70. Four Seasons Wall is close to shopping malls, theaters, beaches, libraries, museums, in addition to much more. For the boating enthusiasts, you’ll find that many marina are within an easy drive. You can ride your bike to the ocean. 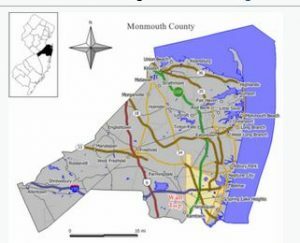 Although Four Seasons does not have a golf course, numerous courses are located in Monmouth County. There are 400 homes in Four Seasons at Wall. The homes have either 2, 3 or 4 bedrooms, and a two car garage is standard. Some homes also have a loft. Homes range in size between 1500 square foot to approximately 3500 square foot. Additionally, many homes are located on wooded lots. These homes were built between 1997 and 1999. The clubhouse in Four Seasons Wall provides World-class amenities at your door step. There are Indoor and Outdoor Pools in addition to a hot tub. You’ll also find tennis courts, a state of the art fitness center, ballroom and much more. Trips, clubs and other activities will keep you busy. Commuters have easy access to main roads. That’s because The Garden State Parkway, Route 34 and Route 195 are near. If you either work or play in New York, the nearest train station is in Asbury Park.